Hello! it’s been a while since we last posted anything here! 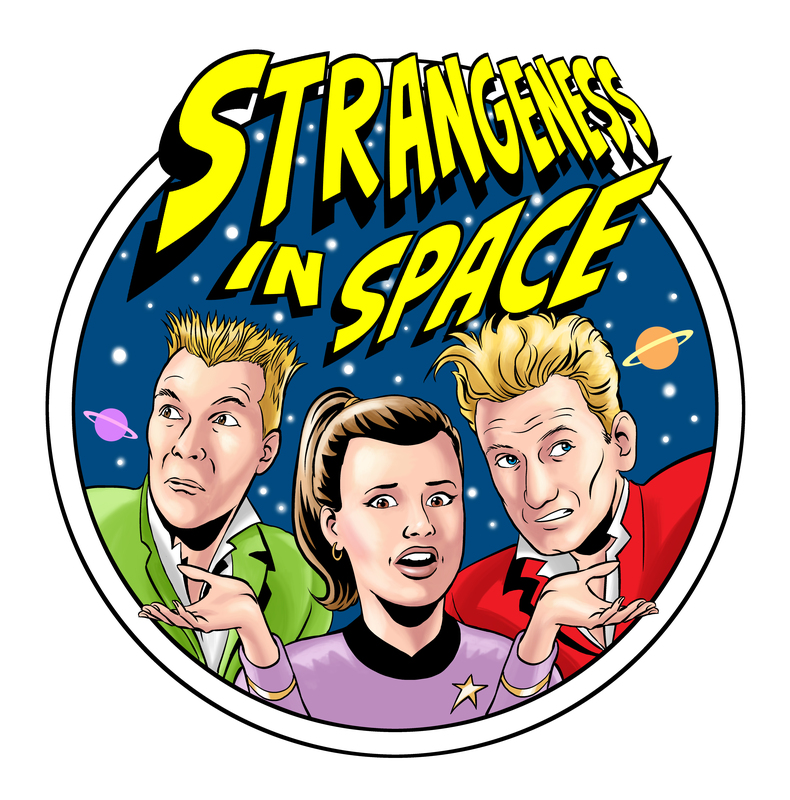 Strangeness in Space is a FREE audio sci-fi comedy drama for all ages starring us and Sophie Aldred and produced by Clare Eden. Sophie and Clare have been friends of ours, since we were all students together in Manchester, in the early 1980s but this is the first time we’ve all worked together. 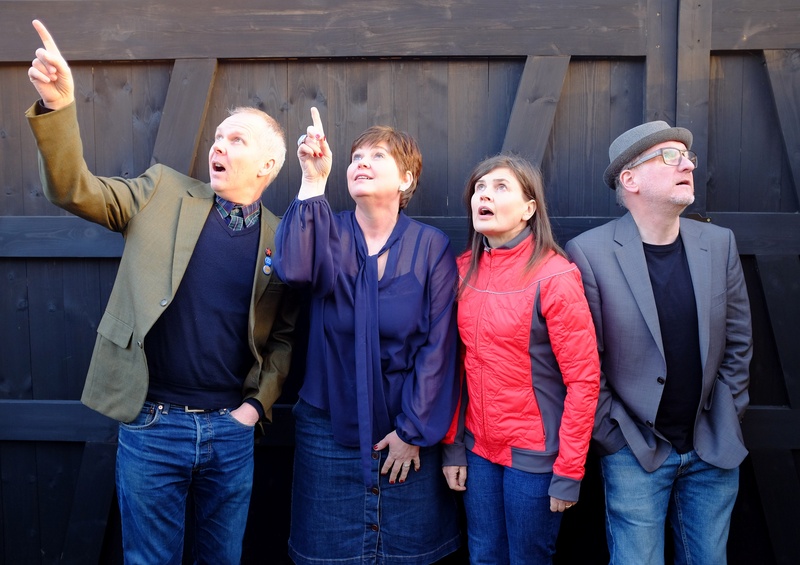 Anyway, the result is hilarious and we’ve been having a right old laugh, writing and recording it, as and when we raise enough cash, through our crowd funding campaigns. We have been lucky enough to persuade some other funny and talented people to join us along the way, including Doon Mackichan (another Manchester student friend! ), Rufus Hound (he’s been to Manchester), Barnaby Edwards (he’s heard of Manchester), Peter Guinness (we think he might have a friend who lives in Manchester), Carol Cleveland (she knows someone who visited Manchester once), David Annen (he’s married to another friend of ours, who was a student at Manchester) and Sarah Madigan (who’s bound to like Oasis or the Happy Mondays or something). We even have a shop where you can buy cool stuff to help us raise funds, to produce more exciting episodes. 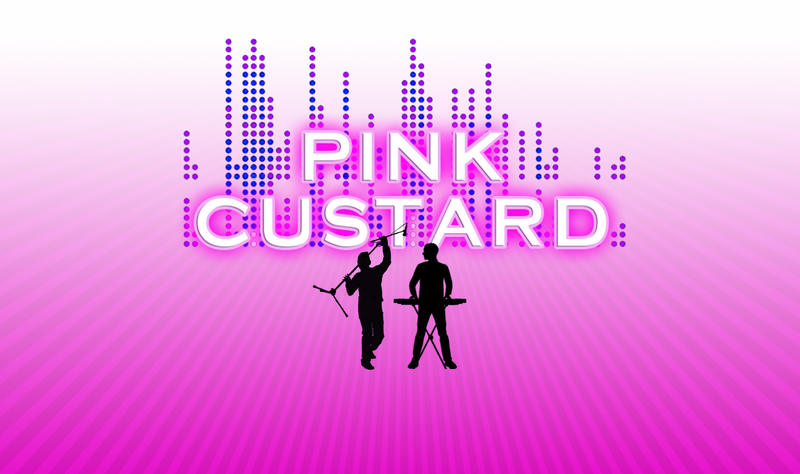 And remember – you don’t have to pay anything because it’s FREE to listen on our website or you can download it from iTunes, also for nothing – that’s right – it’s FREE on iTunes too! 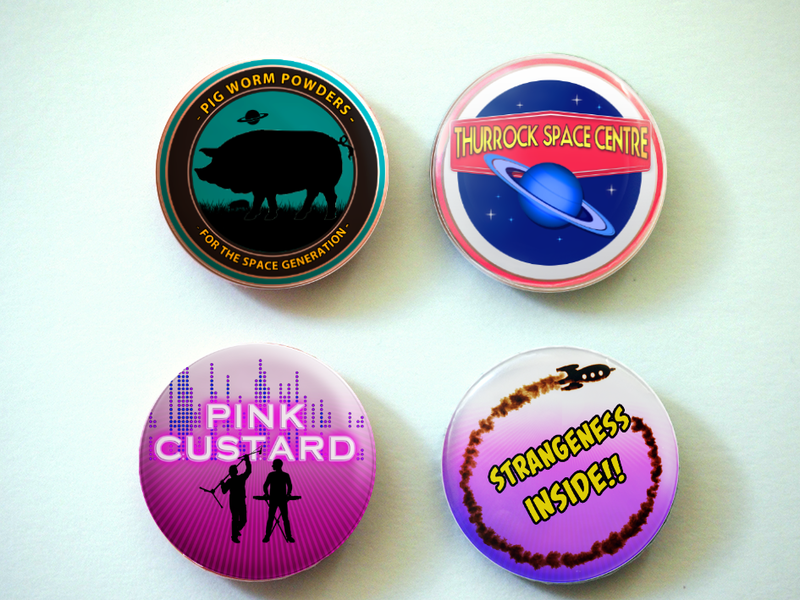 Follow the links and head to Strangeness in Space now! 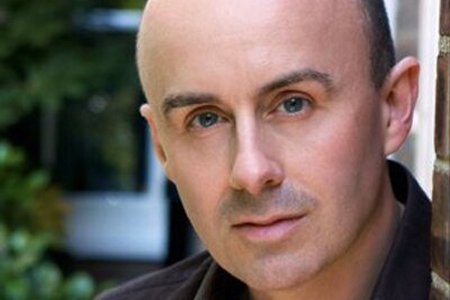 In the early 80’s me and Trev met at Manchester University. We were doing degrees in Drama (one each). I can’t speak for Trev, but I was hardly the most academic of students. Nor was Trev. As our friendship developed, so did our interest in comedy, more commonly known then as mucking around a bit and getting up late. 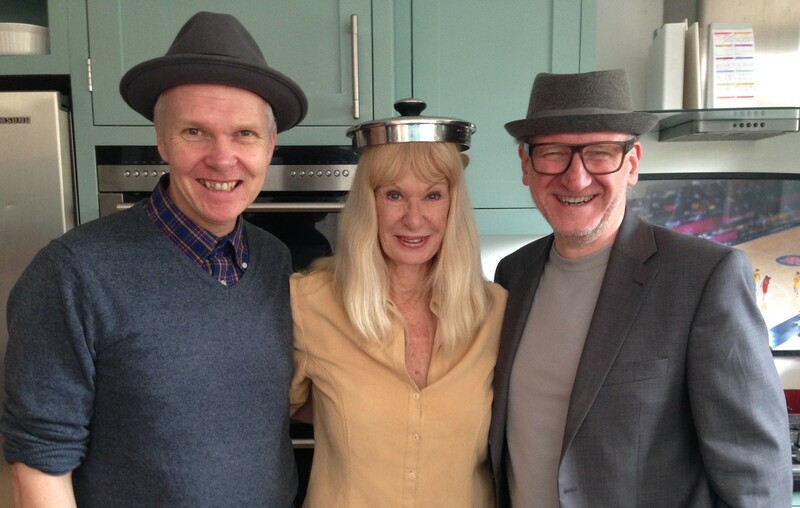 We were blessed with having tutors who not only indulged our experiments in comedy but also actively encouraged it. (Every Monday night students would perform their latest experimental pieces at the department’s Stephen Joseph Studio, a converted church where we once tried an ‘alternative comedy’ take on Chekhov). One of our tutors was Dr David Mayer (later to become Professor David Mayer). 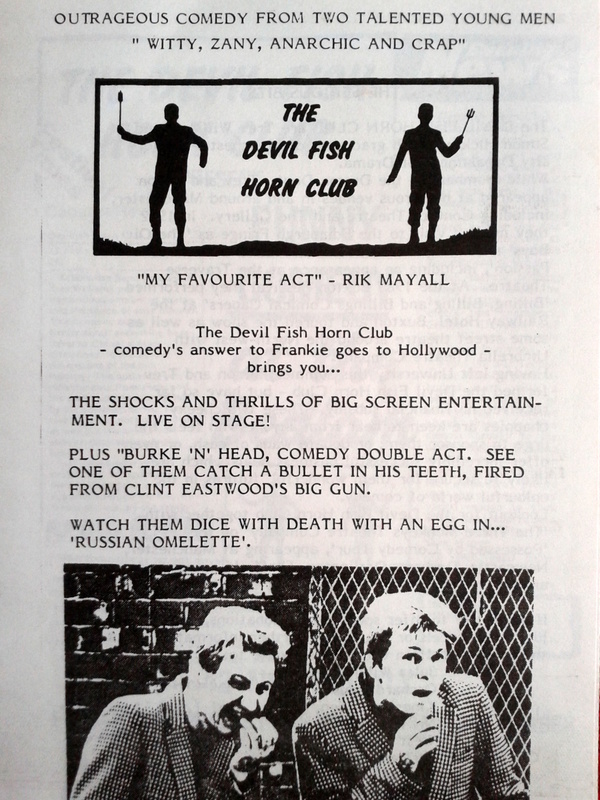 David’s daughter, Lise, was the girlfriend of a former student, Rik Mayall. The two of them, along with another former Manchester student, Ben Elton, had just written a new sitcom for the BBC called The Young Ones. The Drama Department had a TV. And a video player! Every week David Mayer would video The Young Ones for us. And I do mean us, the two of us. Others may have come along too, but David, gently pushing us in all the right directions, knew it was important for us to see this show. There’d been nothing like it. And it was made by students from Manchester! Not Oxford, not Cambridge. Manchester! It was the most ground-breaking Mancunion contribution to comedy since Frank Randle (and, if you have four minutes to spare to watch this clip from Somewhere On Leave, 1943, you’ll see that Frank would have fitted very nicely into the world of The Young Ones). Ok… stop. Take a big long break in reading. I’d like to leave a big long gap on the page but that’d be daft. Just imagine the time it’s taking me, even now, for this to sink in. Would we, two stupid students, barely out of our teens, like to meet the creators of The Young Ones? At our tutor’s house? Let’s deal with David Mayer’s house first. Now, the meeting. Of course we went. We even prepared: We spent Saturday afternoon scooting around Oobidoo, looking for fun items and generally asking the price. We settled on a wind-up spider. 50p. And so we headed off on Saturday night to our tutor’s home in the posh part of Manchester armed only with a wind-up spider. (I don’t know at what age we learn to take wine, but whatever age, we hadn’t reached it yet). We arrived at the house. And whatever you read from this point onwards, I assure you, did happen. David greeted us and showed us into a huge half kitchen, half dining room, with a small dividing wall about three feet high in the middle. In the dining room half there was a circular table. And there was Rik, Lise, Ben… and possibly someone else (sorry someone else). David didn’t introduce us… oh, he may have said something like “this is Trev and Simon”… but he didn’t explain who we were or why we were there. The one other thing he did do was to ask us to keep an eye on some steaks he was grilling in the far half of the kitchen. This of two idiots whose diet consisted of tinned Goblin products. And David disappeared! Where did he go? To this day no one can answer that. But the best bets are ‘to have a look at his Picasso’ or ‘to have a shower’. So… we kind of stood around. The others, at the table, carried on talking to each other. At one point we wound up the wind-up spider and let it have a little walk. It didn’t get much of a reaction. But then, why should it? These fellows had demolished a house in their first episode. We hadn’t been asked to do much by our tutor. Just keep an eye on some steaks. But that wasn’t our forte. We did our best. We wandered over to the cooker. We looked at them. And then they burst into flames. How can a steak catch fire? I’m sure it’s easy to burn a steak, to ruin it; but for it to catch fire? Trev struggled to get the grill out. He did, eventually, but not before the fire alarm went off. On Monday night we did a daft bit of comedy at The Stephen Joseph Studio. It ended with us dropping some kind of large object off a balcony onto our wind-up walking spider. The spider was smashed to bits. And Rik, and Lise, and Ben were there. 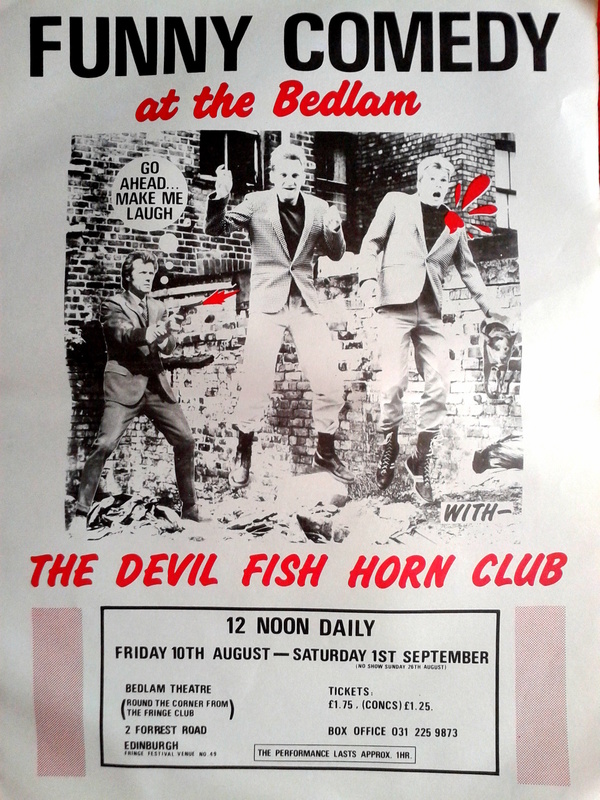 Up in Edinburgh, doing our first ever show in 1984, we walked past a poster for a band. I can’t remember the band, but I can remember the quote: “My favourite band”, Rik Mayall. I’m going mad, rooting through boxes of memorabilia, scripts, and Barclaycard bills from 1988. Everything will be destroyed, but I’ll try and copy a few things here and there. Just to get things going, and to try and make the task fun! 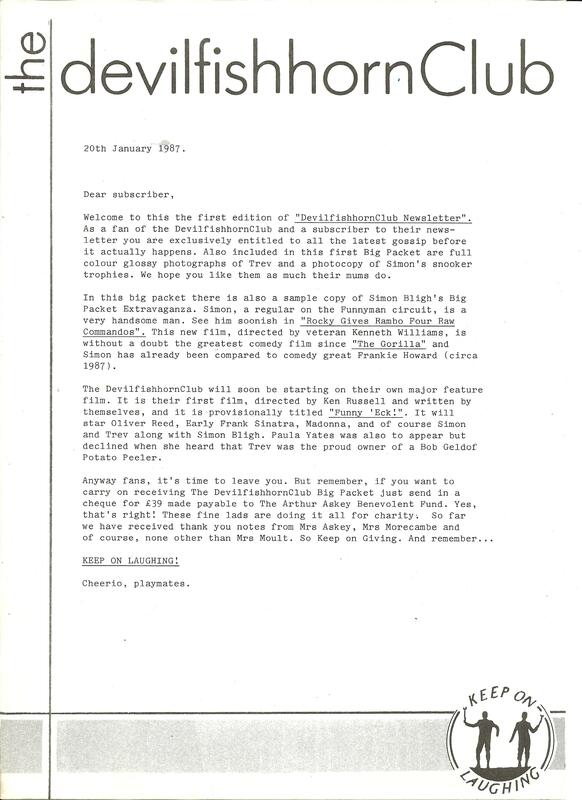 here’s the first item to be archived (I will put it in the Trev and Simon Museum too). It’s some kind of newsletter thing that may or may not have been sent out. It contains what may have been our first ever catchphrase… Keep on laughing! Here’s Part 1 in our attempt to track down Don Singing and Bob Corner, better known as The Singing Corner. We’d received a tip-off that they were hiding out in the Goat Caves of Kent and so, off we went. Did we find them? Well, this film shows the search. We’ve since interviewed them. Hopefully that’ll be up sometime over the weekend. It’s a slow process, filming on a £60 Flip camera and editing on a 15 year old computer. That last sentence is the truth. As for the rest, you decide. It’s hard doing what we do. But not as hard as, say, people who work for a living. We’re always trying to create new opportunities, pitching this and pitching that. Cornering BBC executives in toilets and canteens. Sending Kinder eggs to the latest heads of here and there; no toy inside, just the latest pitch, scribbled on the back of an old Bazooka Joe cartoon. There’s a rumour that goes around the comedy circuit; the popular comedian Tony Hancock made 324 pilots before eventually securing a slot with Hancock’s Half Hour. Even then he was short changed, the original show being called Hancock’s Hour and a Half. But, as Richard Curtis once told us, and as Echo and the Bunnymen sing, never stop. A lot of effort and hard work goes into pitching ideas. Here’s one of our latest; The Kent Coast Caves with Trev Neal. I doubt it will get picked up. But you’ve got to try, haven’t you.